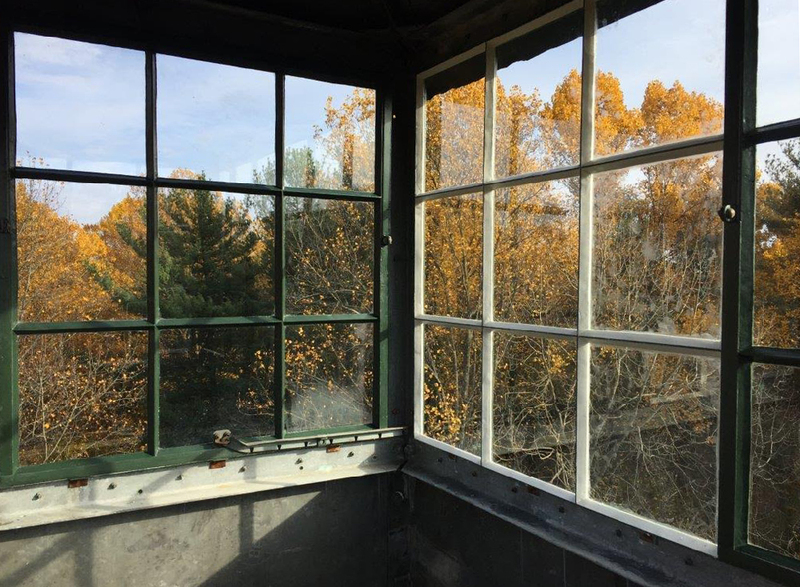 A New Deal-era fire watch tower at McCormick’s Creek State Park is under restoration, thanks to a grant from Indiana Landmarks and broad community support. Eighty years ago, volunteers climbed up the steep steps of steel watch towers around Indiana, scanning the horizon from their high vantage point for signs of fire in surrounding forests and farms. By the 1970s, airplanes had taken over as the primary method for monitoring fires, and watch towers began to disappear. Today, fewer than half remain, many of them serving as challenging climbs and scenic lookouts in state parks. At McCormick’s Creek State Park, one of those remaining towers is under restoration, thanks to broad community support. Constructed in 1935 by Civilian Conservation Corps Company #589, the 86-foot-tall watch tower at McCormick’s Creek State Park operated through 1967. Since then, it’s become a popular visitor destination along the hiking trail #4. 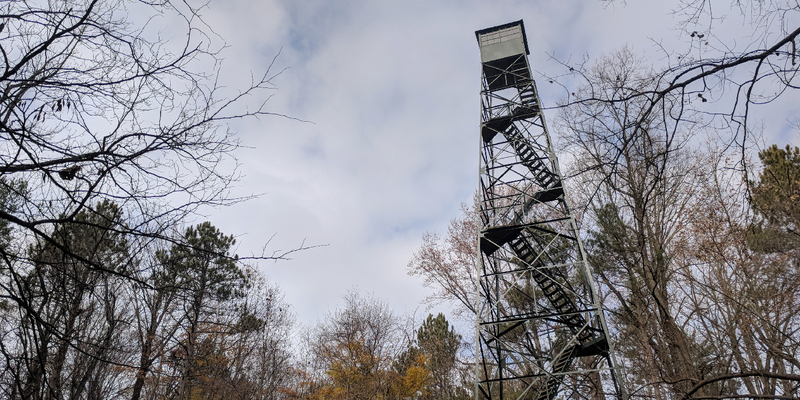 The tower is an unusual example of a 1930s fire tower, with triangular landings, diagonal stairs, and nine-lite windows in the 7’x7’ steel lookout cab. By the time the tower was listed in the U.S. Forest Service National Historic Lookout Register in 2008, years of exposure had taken their toll on the steel structure. It remained sound, but needed paint along with new wooden steps and landings. In 2017, Indiana Landmarks recommended the project for a $10,000 grant from the Efroymson Family Fund of the Central Indiana Community Foundation, helping the Friends of McCormick’s Creek State Park kick-start fundraising for the tower’s restoration. The Friends group launched a community-wide campaign, raising an additional $85,000 from individual and business donations, the Owen County Community Foundation, Owen County Preservations, even a penny drive from local school children. In July, workers began making repairs, replacing wooden stair treads, landings, and wood panels in the lookout cab. The final phase includes adding safety wire around the site and clearing the surrounding area to protect the tower and partially restore the viewshed from the top. Once work is complete, the lookout will be open to the public for the first time in nearly 30 years. 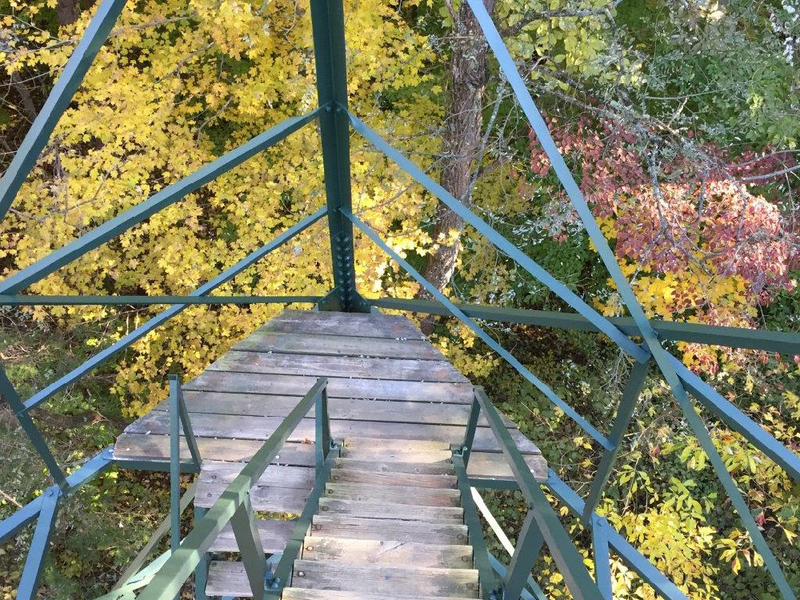 Future plans include installation of a commemorative plaza around the fire tower and an interpretive display in the nature center highlighting the work of tower watchmen. To learn more about the project, visit www.friendsmccormickscreek.org.